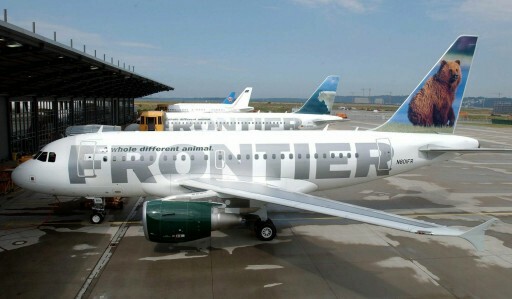 Denver, CO - Frontier Airlines is adding a fee for carry-on bags, and plans to start charging $2 for soda and coffee. Passengers who buy their tickets on the airline’s website won’t have to pay. Frontier’s parent, Republic Airways Holdings Inc., is trying to fix Frontier’s finances and sell it. Next they will charge for wearing clothes. But see where it says that if you buy your ticket on their website, the bag is free. So this doesn't help raise revenue so much as discourage people from using third-party web sites. Which, I guess, also raises revenue. OK. If you don't like this nickel and diming from the commercial airlines, than consider a charter. Its much more convenient, they will accomodate requests to serve gourmet meals with only the best chassideshe hashgacha, show videos of a daf yomi class rather than pritzusdike movies and all the flight attendants will be dressed tzinisudike. This is the way all the chashuve rabbonim fly to their summer homes and the most chashuve shilichim from EY fly to New York to schneur on behalf of their mosdos. Spirit already charges $100 for a carry on! !